First Poster for '300: Rise of an Empire' Revealed! Seize your glory! In the midst of all those exciting Man of Steel and Star Trek trailers today, CinemaCon presentations and 21st Century Fox debacle, another first look found its way online. Director Zack Snyder, who moved on to only produce and develop this sequel, tweeted out the very first poster for 300: Rise of an Empire. We saw some of the first footage from the film, which follows the events in 300 directly and brings back Queen Gorgo and Xerxes, at CinemaCon and it's definitely a big step up in terms of epic, stylized historical action. The poster shows an unidentified Greek warrior posed in front of a battle. Not much to it. 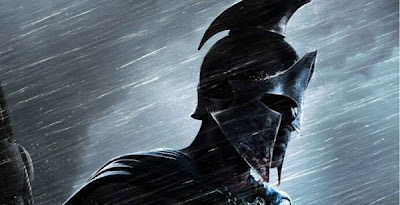 Noam Murro directs 300: Rise of an Empire (formerly The Battle of Artemisia), based on Frank Miller's upcoming prequel graphic novel Xerxes, and adapted by Zack Snyder (director of 300) and Kurt Johnstad (writer of 300 and Act of Valor). Greek general Themistocles (Sullivan Stapleton) attempts to unite all of Greece by leading the charge against the massive invading Persian forces led by mortal-turned-god Xerxes (Rodrigo Santoro), and Artemesia (Eva Green), vengeful commander of the Persian navy. 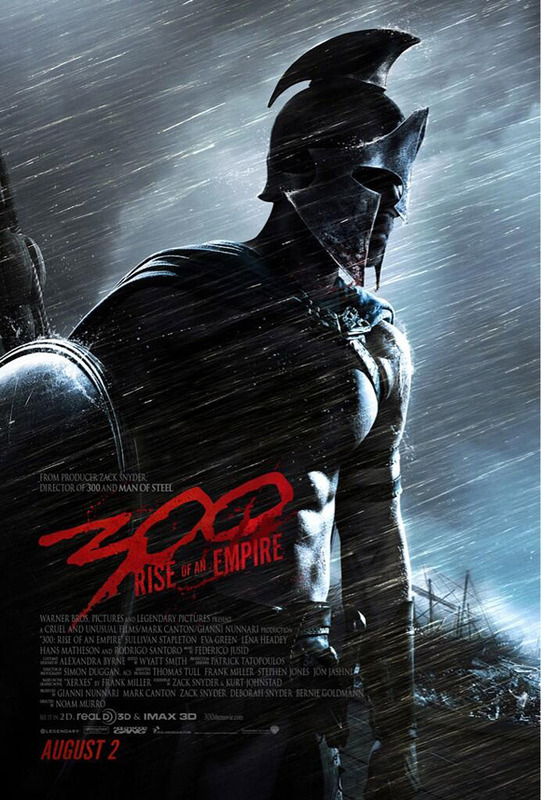 Warner Bros will be releasing 300: Rise of an Empire in theaters on August 2nd. Stay tuned.